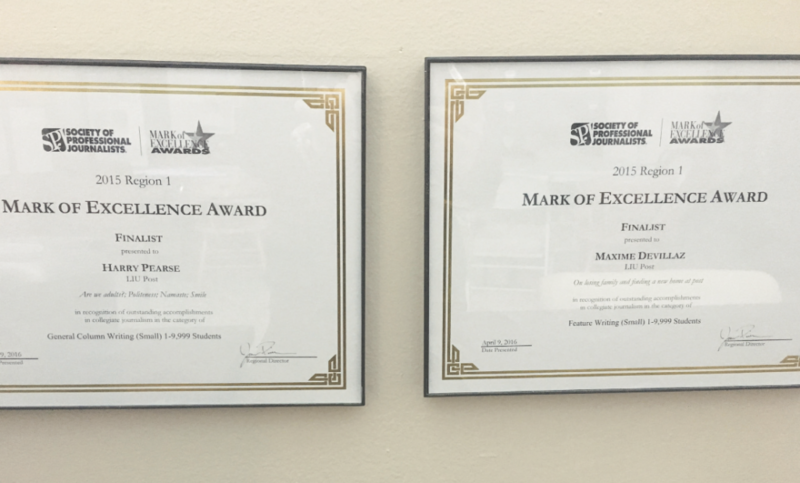 The Pioneer received notice over spring break that we will be winning two awards in this year’s Society of Professional Journalists Region 1 Mark of Excellence Awards, which honors the best in student journalism. Pioneer staff members Maxime Devillaz and Harry Pearse will accept their awards at the SPJ Region 1 spring conference on April 8 in New York City. Last year, the Pioneer also won two SPJ Region 1 Mark of Excellence Awards as well as four awards in the Press Club of Long Island Media Awards competition, a rigorous competition judged by top journalists across the country. 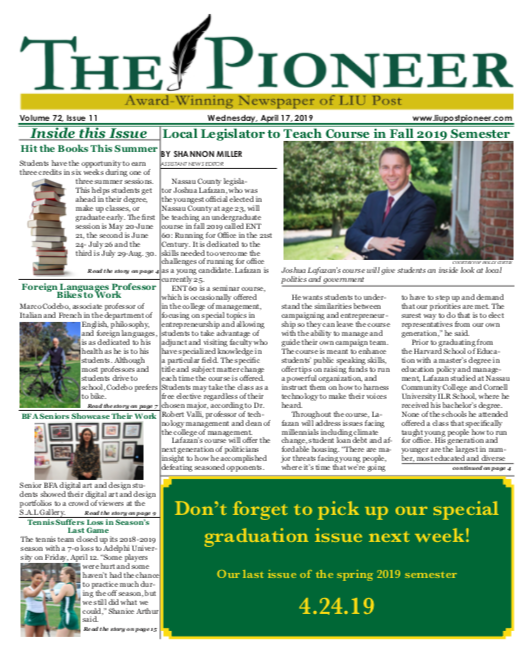 The Pioneer thanks all of its hard working staff members, readers and supporters who make these awards possible.